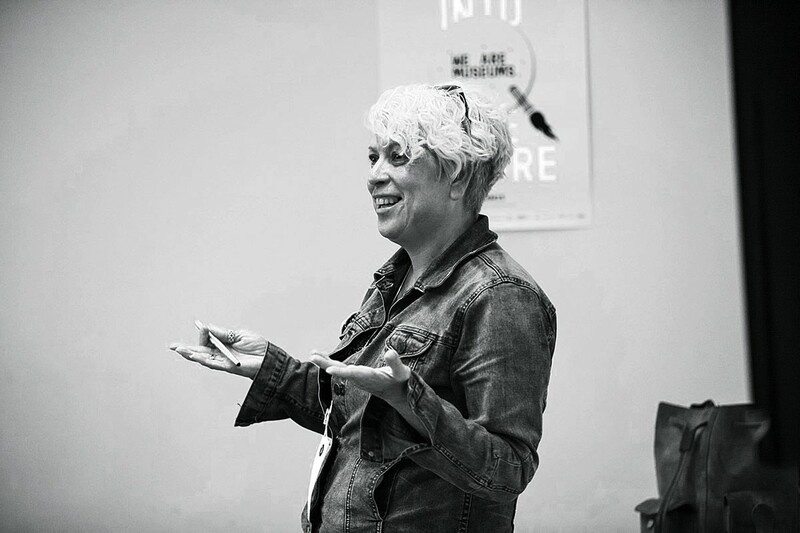 As the instigator of several of these types of projects, the Pennsylvania-born and Shropshire-based Mar Dixon is at the centre of a unique social/cultural movement – and sums up the nature of her job with tweet-like brevity: “I call myself a troublemaker or advocate,” she says. “I work with museums to try and make them more people friendly”. Dixon was active on Twitter for two years before it changed her life. 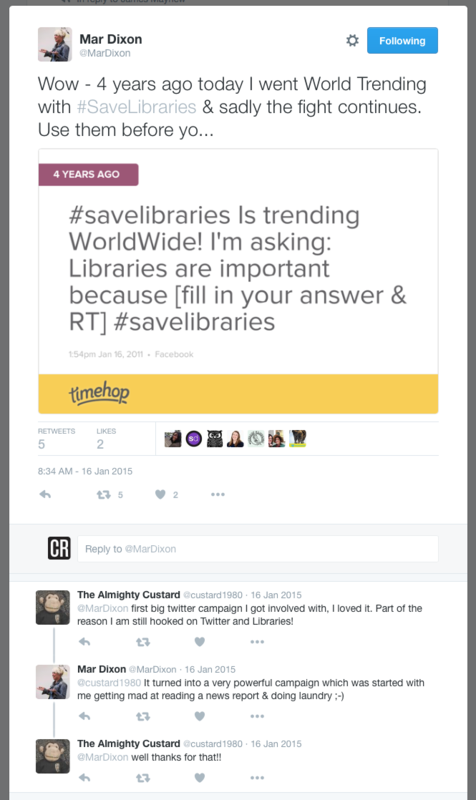 On January 16 2011, having read an article on the future of UK libraries, she tweeted ‘“I love libraries because _____” Fill in the blank and RT! #savelibraries’ (and went back to doing her laundry). Meanwhile, over 5,000 users had reacted to her appeal, including writers Neil Gaiman and Margaret Atwood, and the hashtag began to trend worldwide. 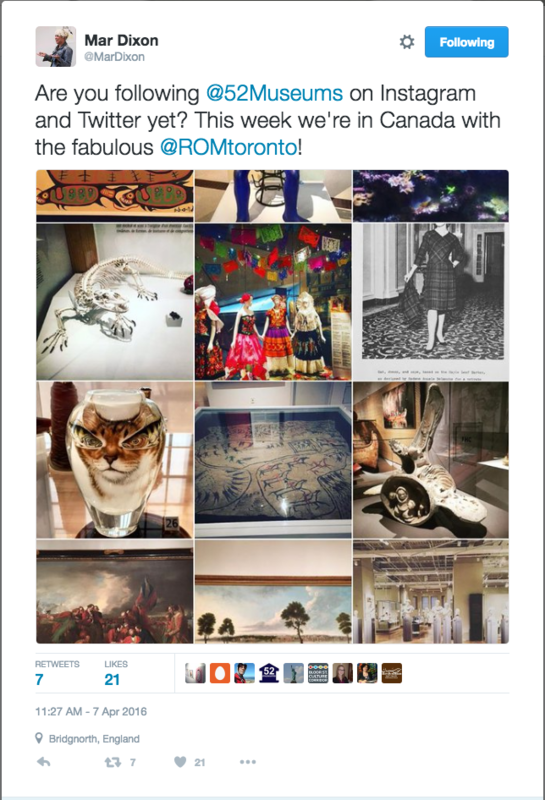 This, she later wrote on her blog, was her “first experience at seeing the power of social media” – and since then she has harnessed this power to help museums from all over the world. “People shared so many passionate stories about the impact of their own local library – and many went beyond the books, though they are vital,” she says. “I was thrown into the spotlight with the media and it got me thinking how the impact could help culture”. 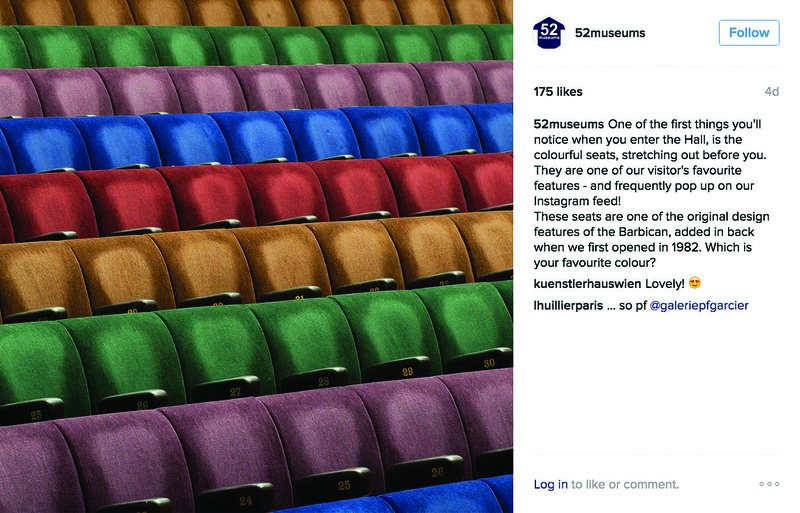 Following a trip to Paris in the summer of 2011, Dixon posted about how certain French museums were beginning to engage on social. The Musée de Cluny (@museecluny), Musée des Arts et Metiers (@ArtetMetiers) and Chateau de Versailles (who were also using augmented reality in their gardens) were singled out as institutions that were using it to their advantage – while larger places that perhaps didn’t think they needed to engage their audiences in this way (The Louvre, the Musée d’Orsay) lagged behind online. “Those that do [it] well are those – and it sounds so simple – that are social,” says Dixon. “They are the ones that share but respond. Acknowledge those people who tag you, ask how their visit was if they check in. Is it time consuming? A bit, but you don’t have to do it for everyone. Grab one or two as you’re walking to your next meeting. Those people become your advocates! The main thing is that the public in general is using social media,” she adds. 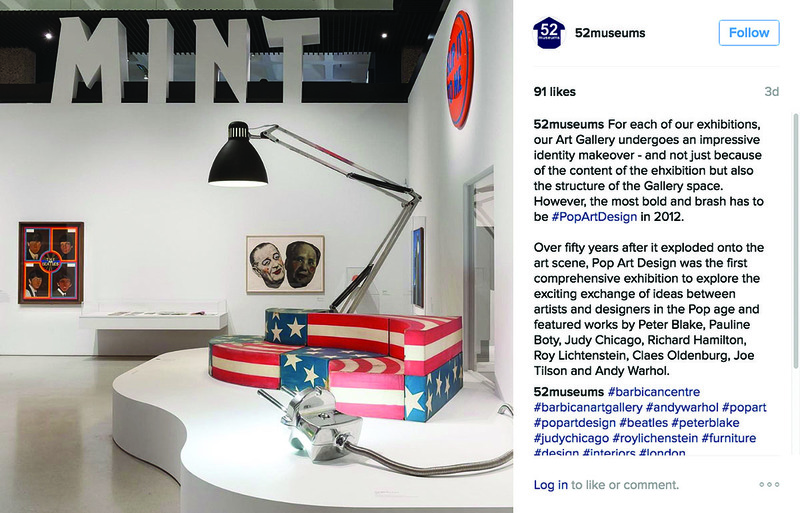 “Yes, the platform changes, but the behaviour of our society does also and it’s a great way for [museums] to keep their finger on the pulse.” And while Facebook and Twitter have become vital for museums, it’s on platforms such as Instagram, Snapchat and WhatsApp where Dixon says she sees even more potential developing in future. 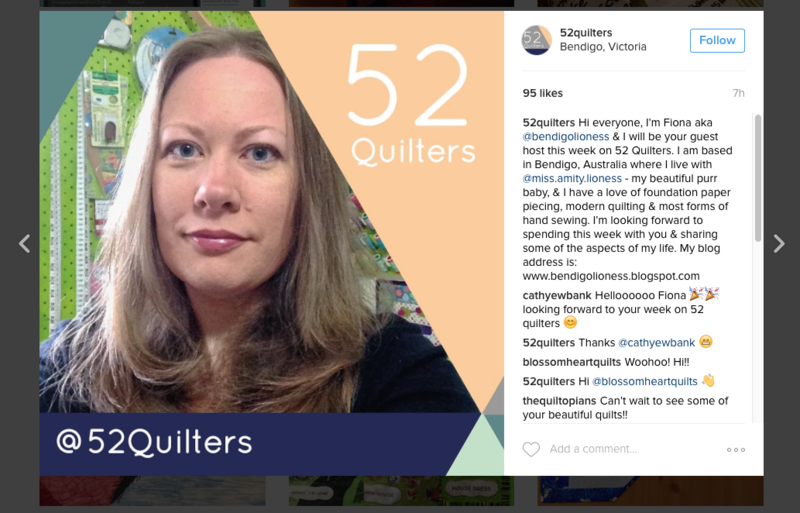 Instagram has already proven to be hugely influential. 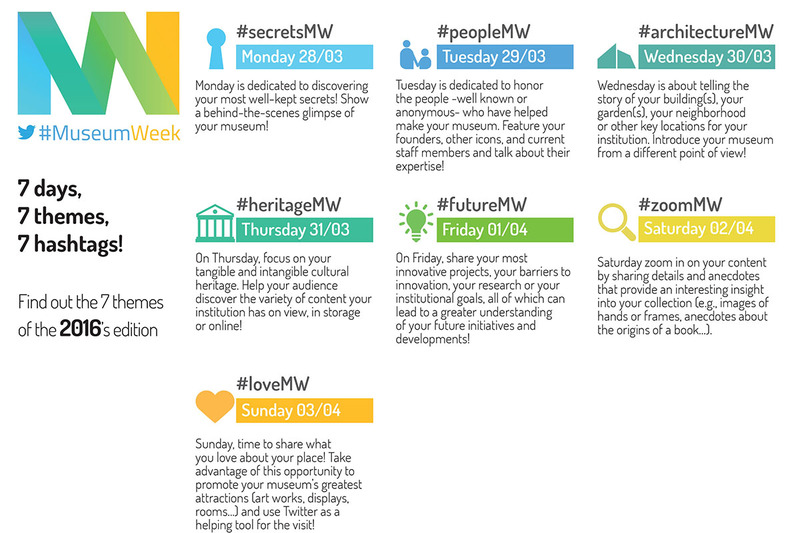 Take Dixon’s @52Museums project, for example, where a different museum takes over the account each week. In the last couple of months, followers have seen the Birmingham Museum and Art Gallery (@birmingham_mag) post pictures of treasures from the Staffordshire Hoard and the University of Reading upload an entire #Instaphabet of its favourite artefacts – ‘N’ was for New Johnston as the institution holds the archives of Banks and Miles, the design team that updated the famous typeface. The Hamburger Kunsthalle (@hamburger.kunsthalle), one of Germany’s largest art museums, posted recently, followed by a twin offering from @LACMA and @SFMOMA, before handing over to the Getty Museum, which uploaded a generous amount of images of manuscripts, decorative art, paintings and photographs (the account then went on to the Barbican in London). Luce adds that the video content she uploaded was particularly popular, four times as much as the still imagery, in fact; while a short animated Gif showing the installation of the museum’s Manet exhibition received the most views overall. 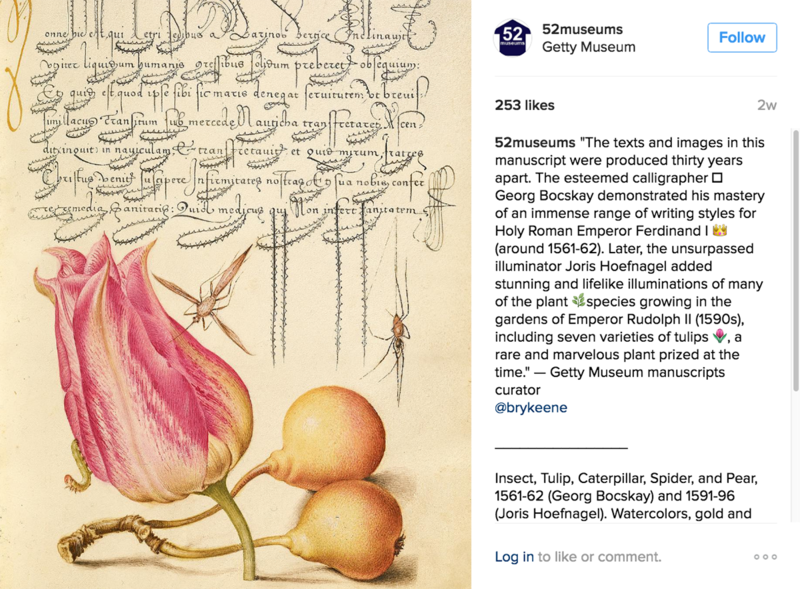 Having only been active on Instagram since March, the Getty’s account is relatively small, but, Luce says, it gained over 300 followers during the week it took over @52museums. Dixon’s ideas are inherently collaborative and while she can be rightly credited with starting many of the most well-known campaigns, the fact that they live and breathe on social media means that there isn’t really a sense of ownership over them. 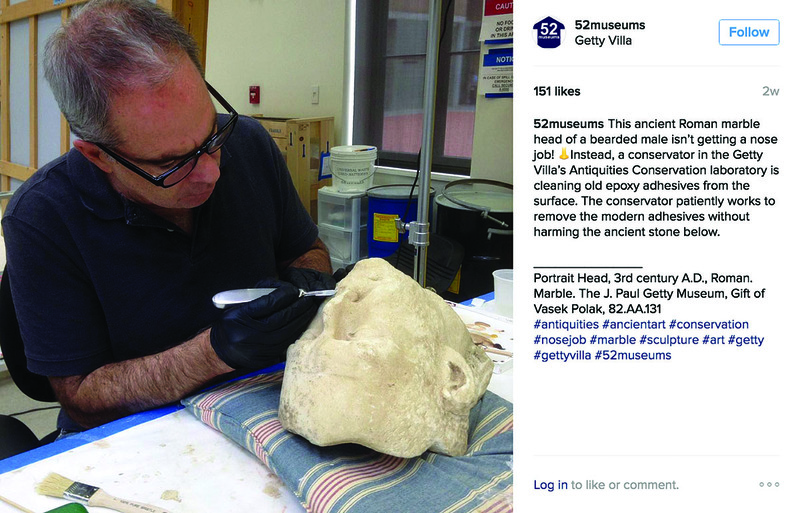 Acknowledgement of Dixon’s own work already runs through the international museum sector. At the V&A, which has embraced Twitter, Pinterest and Tumblr in particular, her reputation is based on helping extend the museum’s engagement with its audience. Dixon is that special kind of creative thinker – one who has the bright ideas but is only too happy to share them for the greater good.